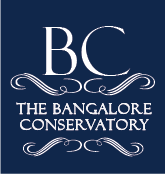 The Bangalore Conservatory offers four-year bachelor degrees in different areas of music. Areas of emphasis available are church music leadership, music education, and vocal performance. BC also offers a two-year graduate degree in music education. If you are called to lead in worship, teach, perform, or train music teachers, our programs are designed to equip you for excellence in these roles. The first session of all degree programs is the Summer Intensive Music Seminar (SMS). It is a six-week rigorous introduction to musical arts. Bachelor in Music Education degree provides professional musical training for elementary and high school music teachers. Two years graduate level training for the professional music leader and teacher. Bachelor in Vocal Performance degree provides professional musical training for students aspiring to sharpen their skills in vocal technique mainly for the purposes of performance of Western Classical/ Bel Canto/ Contemporary styles. Bachelor in Church Music Leadership degree is a professional degree designed to provide the student with all of the foundational knowledge and skills necessary for lifelong musical development and for a career in music ministry/worship-leading.